On Sunday, March 18th the cross country team celebrated their CIF State Championship accomplishment. The team gathered at Stevens Steakhouse to enjoy some food, comradery and distribute their CIF rings. The team had an outstanding season, one for the record books! 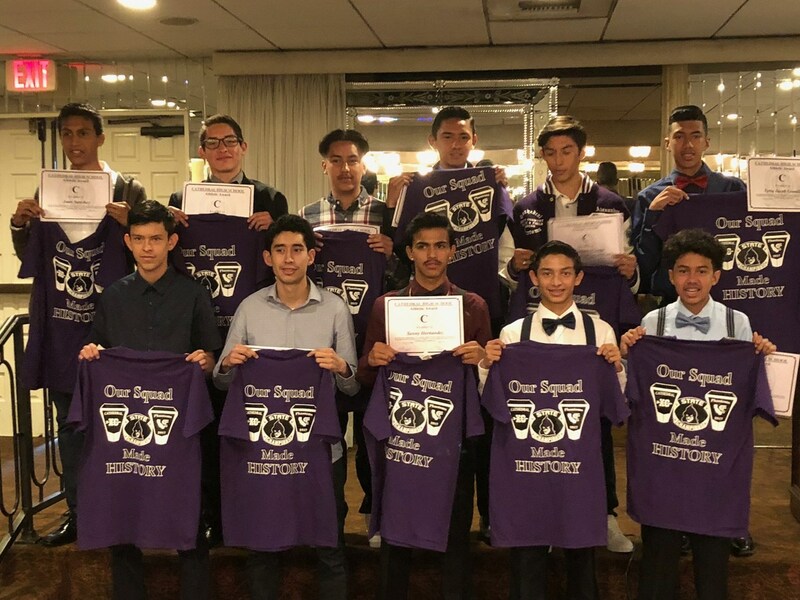 Their journey to the state title was filled with a lot challenges but they perceived and won the CIF-SS Division IV title and followed that up with the CIF State Division IV Championship. The Cathedral community is proud of the students, coaches and families for their continued support.